The design of this cottage presented many challenges. When the owners purchased the property there was a run down, single story, non-winterized house on the lot. Due to zoning restrictions, we needed to stay within the small footprint of the existing structure. The house is also in a flood zone. A new septic system was needed and with that, we were allowed only 2 bedrooms The solution was to go up and this three-story shingle style cottage was conceived. The design maximizes the use of space and the ocean views. 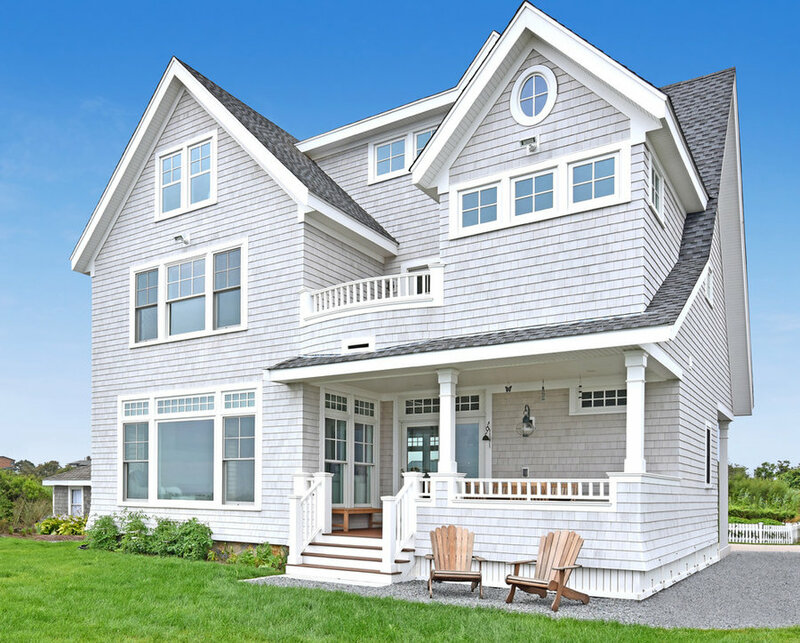 While the exterior is traditional the inside has a more modern aesthetic blending the two into a clean coastal style. The design maximizes the use of space and the ocean views. 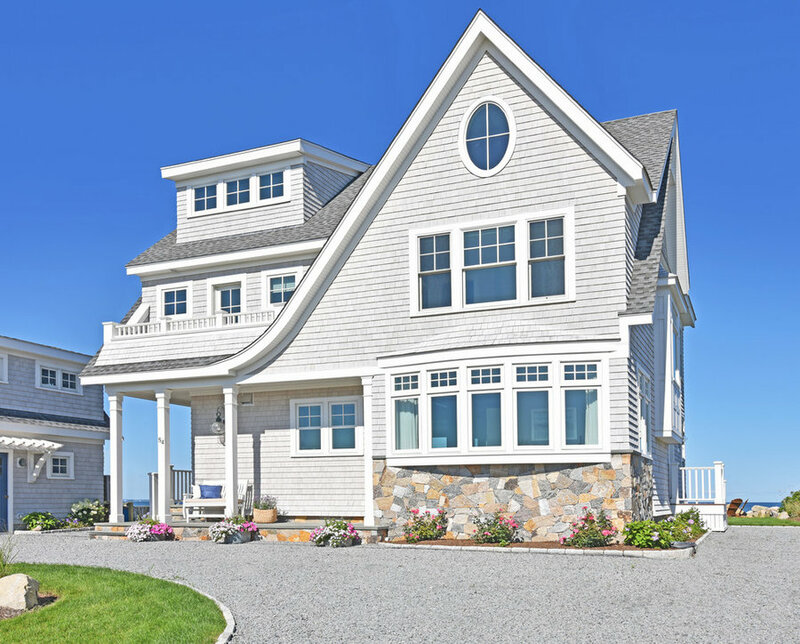 While the exterior is traditional the inside has a more modern aesthetic blending the two into a clean coastal style. 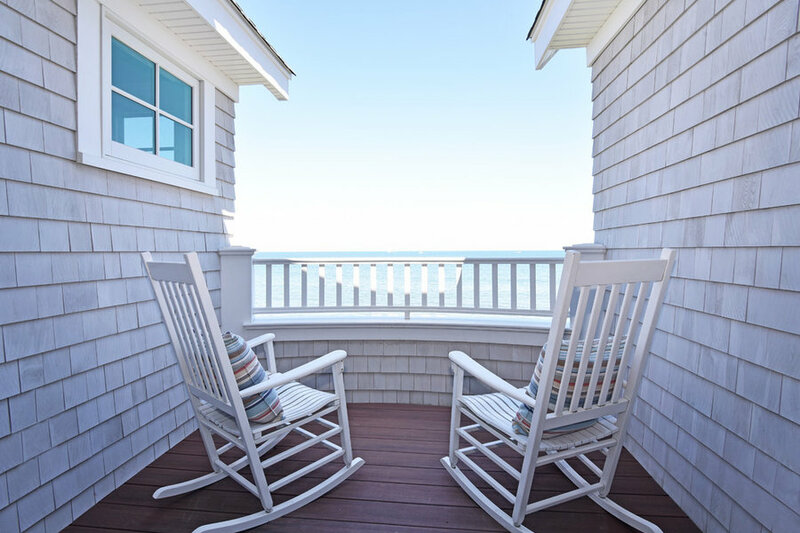 Here, the porch is private but offers an expansive view of the ocean. 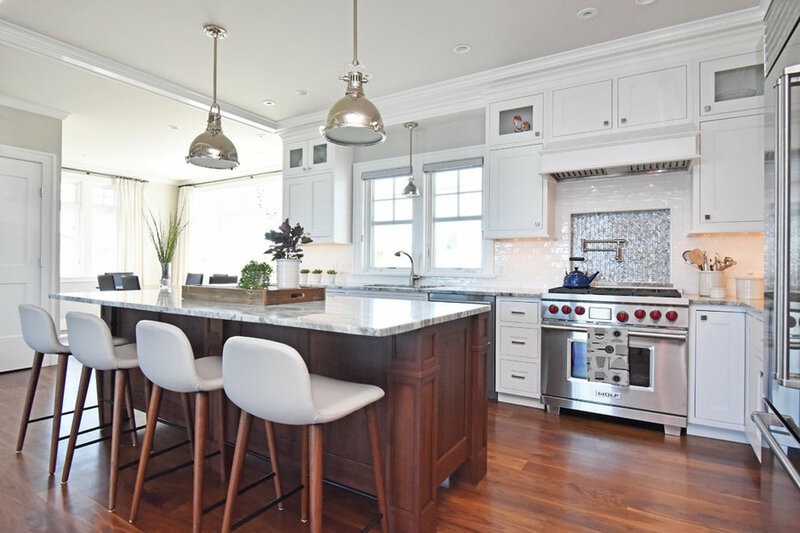 This kitchen represents the more modern aspects of this house. With a clean finish and hardwood accents, this space feels modern yet cozy. It's perfect for entertaining in this beachside home. 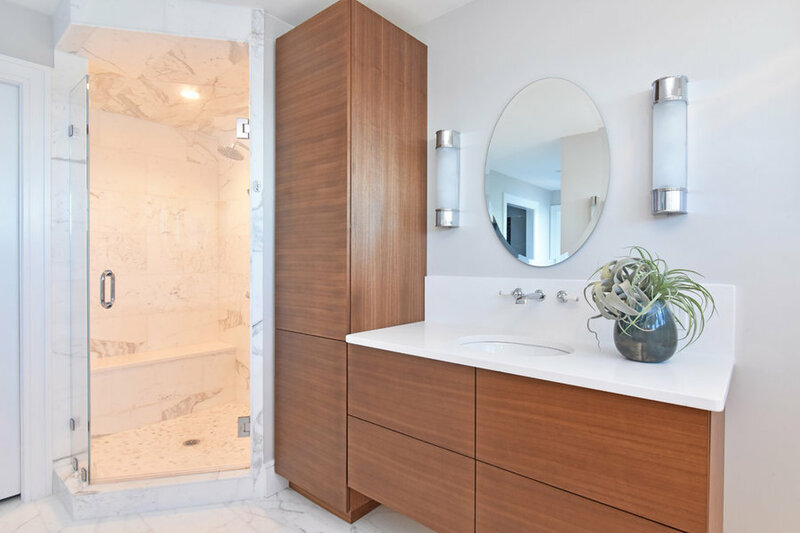 This master bath is clean, elegant, and perfect for relaxation. 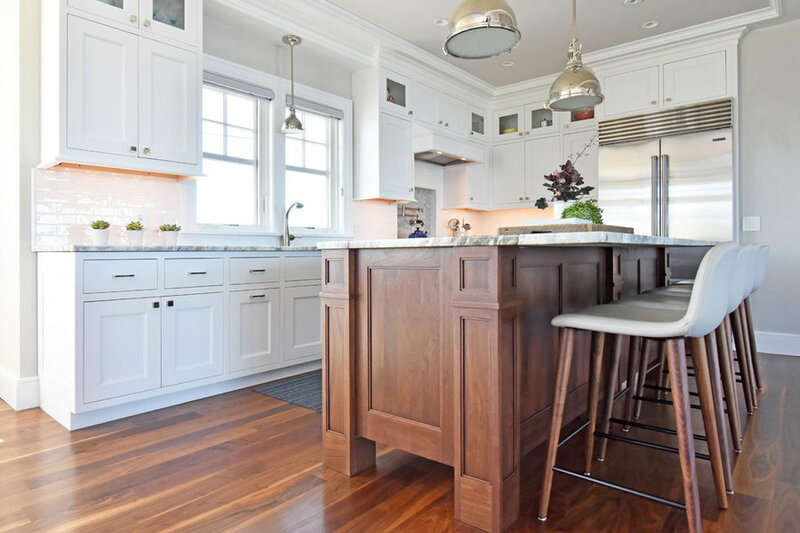 With minimal, white features and hardwood accents, this space feels elegant and homey. 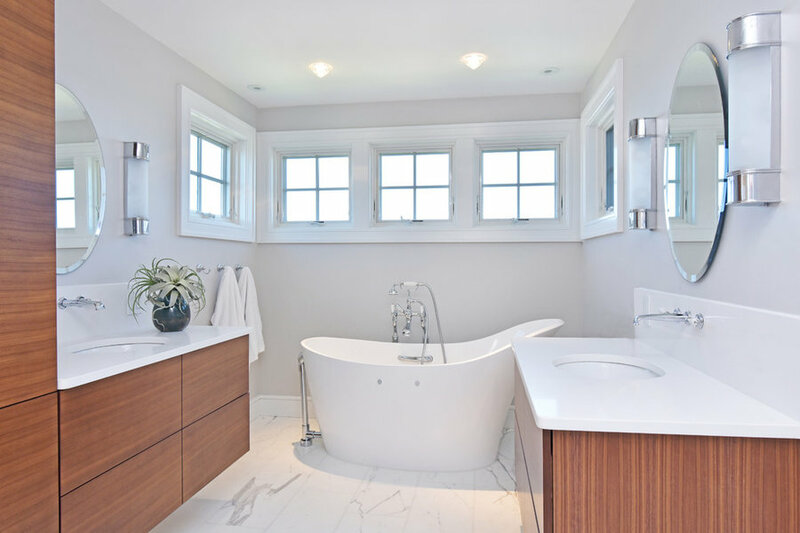 It features a freestanding bathtub, shower, and ample storage to fully enjoy this space.